Be clean and comfortable when you Cruise and Snooze. 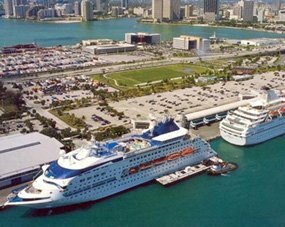 Hotels in Port Everglades can be expensive and may not include very many perks and free amenities. When you stay with Quality Inn & Suites Hollywood Boulevard, you will be securing access to convenient services such as our dedicated shuttle, free parking, and guest laundry as well as many other useful perks. Guests receive a FREE hot and cold breakfast served fresh each day and can treat themselves to unlimited coffee and tea at our 24-hour coffee bar. Our lush, tropical landscape is an exciting and relaxing place to visit, whether you're looking for a comfortable place to rest before your cruise, after, or both. 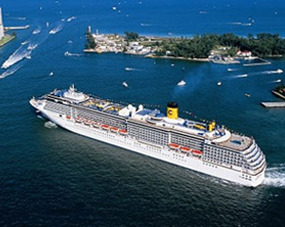 We are one of the most popular Cruise and Snooze hotels in Port Everglades because of our strategic location and low rates. 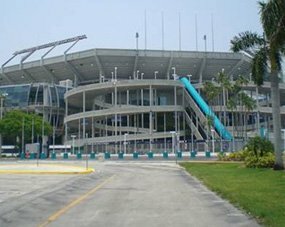 Plus, our friendly shuttle drivers make roundtrip journeys to the Port Everglades, Port of Miami, and Fort Lauderdale/Hollywood International Airport each and every day so that you can board your ship on time and without any of the added stress. 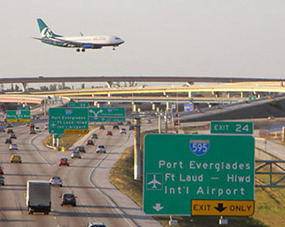 Quality Inn & Suites is located just minutes from the Hollywood Beach, Sun Life Stadium, Broward Convention Center, Fort Lauderdale History Museum, and many other exciting bars, beaches, and venues. Let our friendly hotel staff guide you on choosing the most suitable deal on our cruise and snooze hotels in Port Everglades by calling 877-981-1800 or by clicking "Book Direct & Save". Our hotel is smoke free, pet friendly, and eco-friendly.